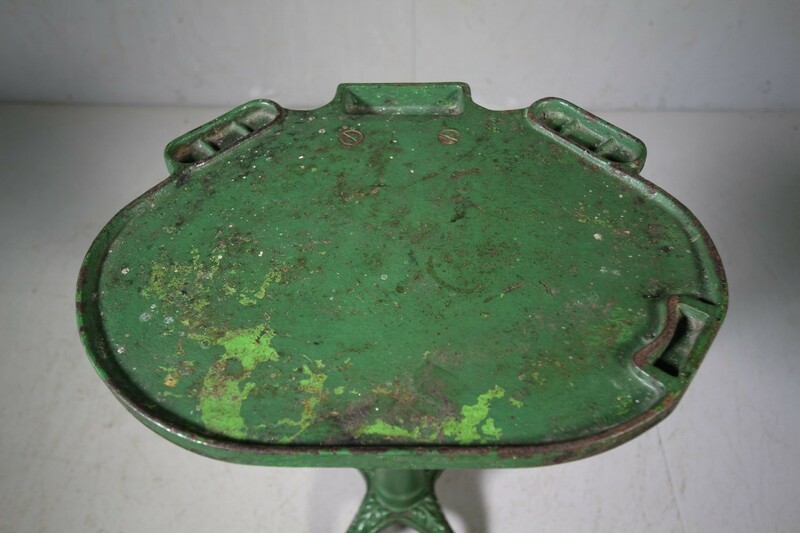 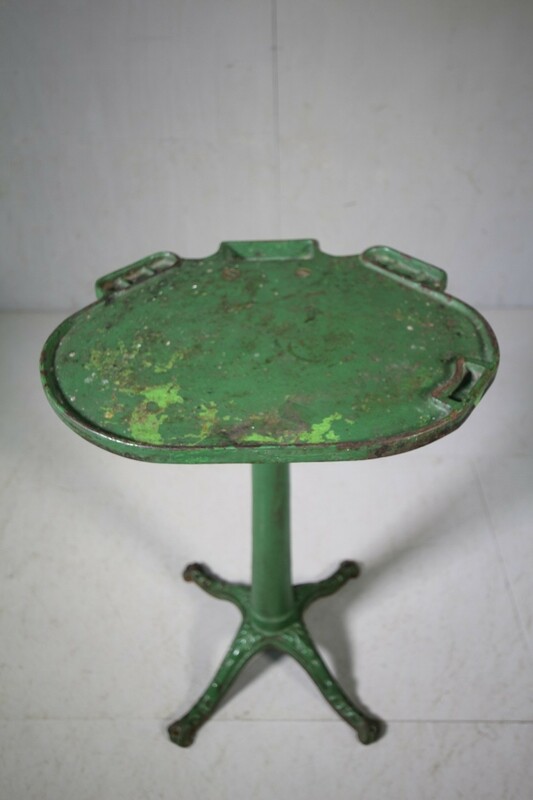 A good quality, English original painted antique cast iron table made for a specific industrial use. 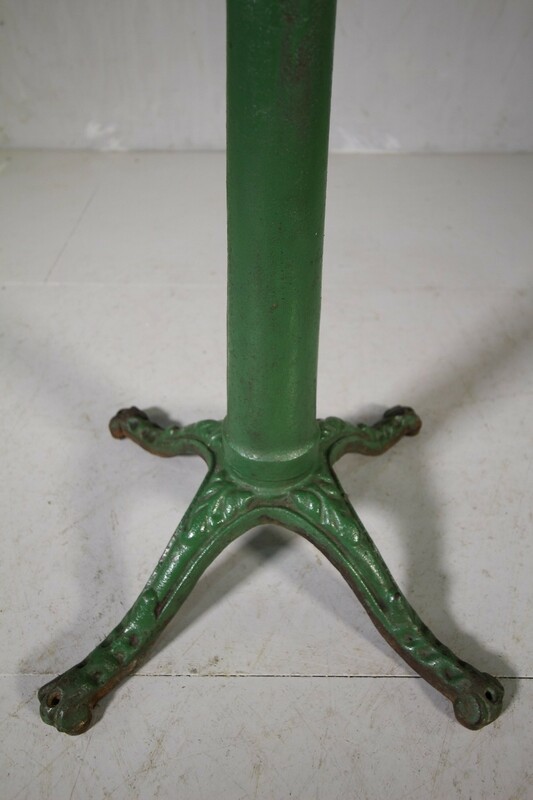 Crisply cast an in very good condition, this antique cast iron side table has four decorative legs with a palin, tapering stem and a shpaed flat top. 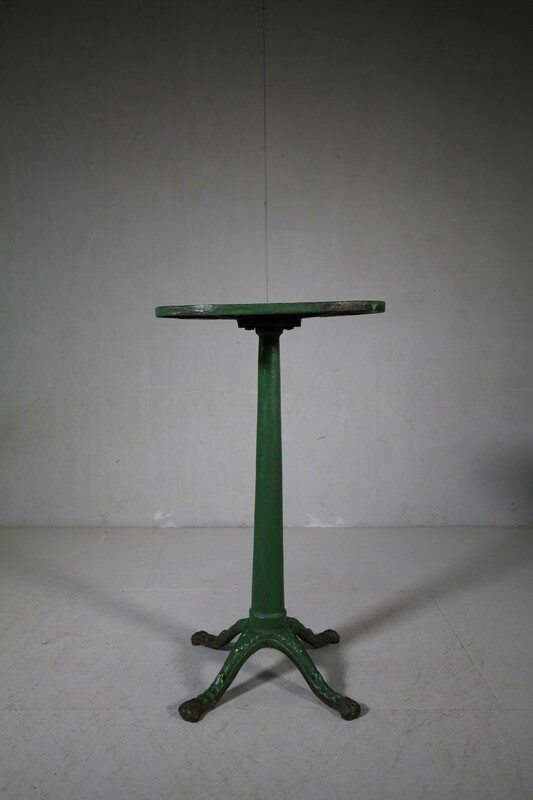 English and dates from around 1870.